With MH370, MH17 and now QX8501, food safety and health scares in China, ongoing supply chain issues, hacks aplenty, popular protests in Taiwan and Hong Kong and terrorist attacks in Australia and China, it has been a busy year for public relations and crisis communications professionals across Asia. Here are the most popular articles published to this blog over the past twelve months. 10. What’s the right social media strategy? With traffic to the blog up 35% over 2013, I’m encouraged to keep plugging away on these topics. If you’ve any suggestions, I am all ears. Best wishes for a smooth and prosperous 2015! Visiting Kuala Lumpur this week to speak on crisis communications at a PR conference I was struck by the extent to which the MH370 and MH17 disasters hung in the air like one of the capital’s putrid summer smogs. 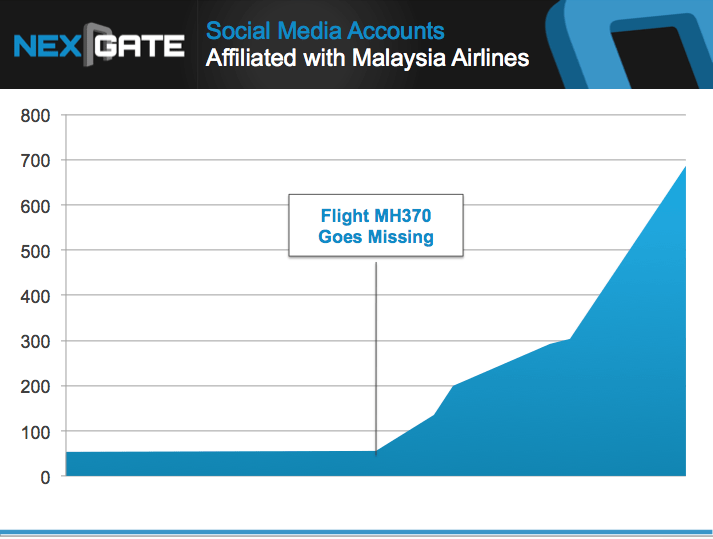 Why, many continue to wonder, were the airline and government not better prepared? I was fortunate to spend time with the (local Chinese-Malaysian) head of marketing at a well-known international cosmetics brand who told me that the reason the official response to MH370 left much to be desired is as much cultural and societal as political and operational. For one, she said, Malaysians place great importance on maintaining ‘face’ and, despite or perhaps because of the many ethnic and religious schisms in the country, will do much to avoid conflict and shame and ensure the outward appearance of a harmonious society. Second, Malaysians are a naturally garrulous people but can be poor listeners. Third, Malaysians generally live for the moment and few prepare ahead, something perhaps evident in the very high levels of household debt in the country. Being in the moment can bring much-needed perspective to a crisis. However thorough preparation makes mindfulness all the more powerful. And here’s my take on Malaysia Airline’s response to MH370. Why are Chinese firms more trusted than Indian ones? 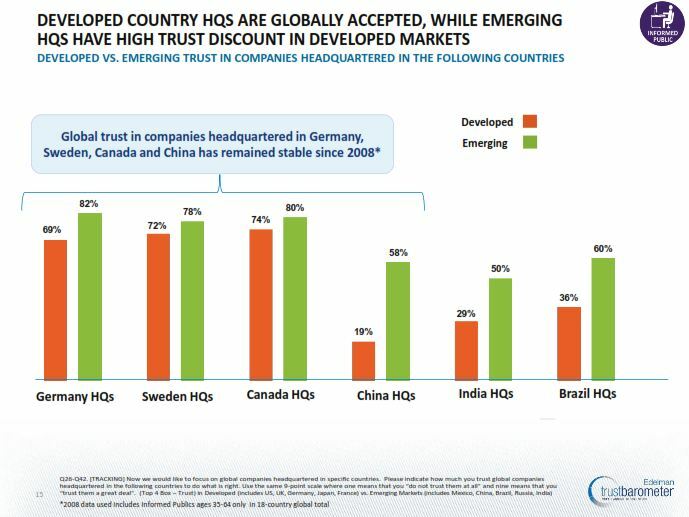 Compared to more developed markets in the west, trust in Asia is in fairly rude health, according to Edelman’s 2013 Trust Barometer. Other than in Mexico, NGOs are held in the highest regard globally in Asia. It is hardly surprising that Indian firms, many of which have been expanding internationally for some time, are held in higher esteem in developed markets than their Chinese counterparts. Yet the reverse is the case in emerging markets. Why? My guess is that the principal reason for this is that Chinese firms have placed greater emphasis on expanding first in emerging Asian markets, whereas Indian firms have tended to leverage their Anglophile connections and shared English language to prioritise markets such as the UK and USA. Equally, it could be argued that Chinese firms have a more substantive presence in the more widely known consumer electronics (Haier, Huawei, ZTE, Lenovo etc) and goods sectors, whereas Indians are better known abroad for B2B services (Infosys, Wipro, Tata Consulting etc) amongst business and technology professionals.